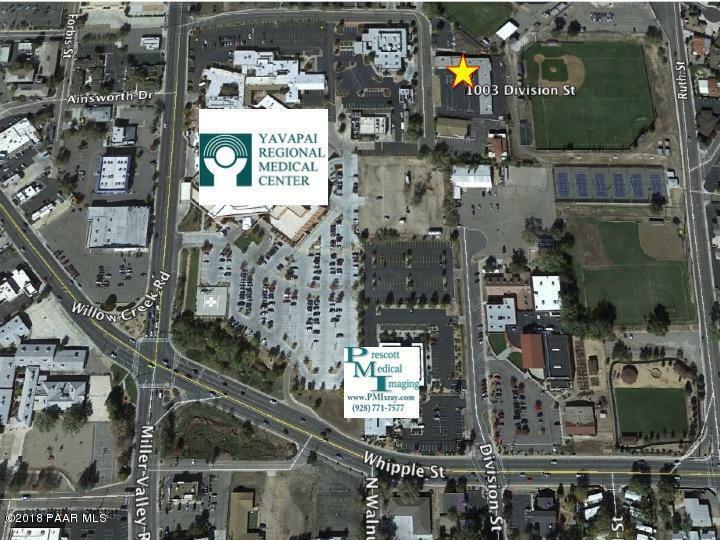 Adjacent to YRMC. 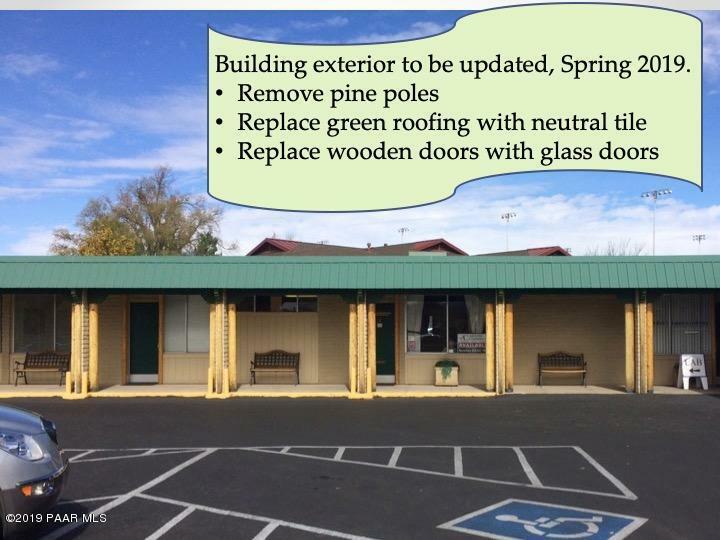 Owner is looking into a major upgrade to the exterior - Replace green metal roofing, remove pine poles, new doors, paint. Suite 6 is 1085 sf. currently gutted and ready for your improvements. 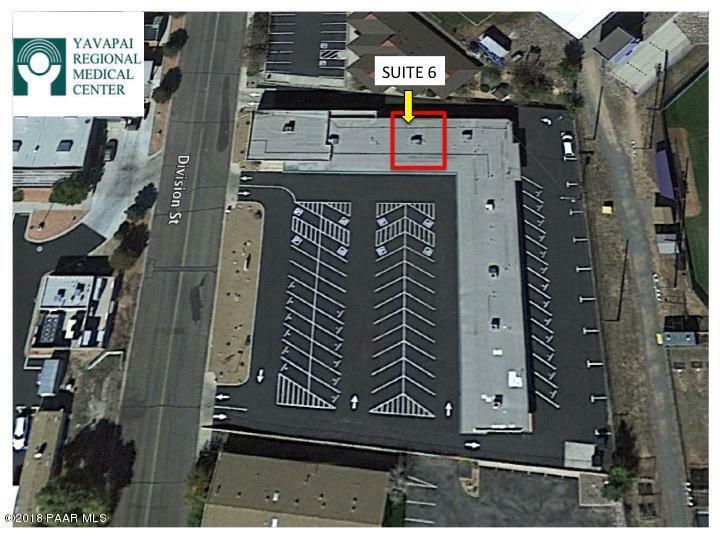 Could be built out into offices, or left open for Dance Studio, Yoga, Meeting Room... lots of possibilities. 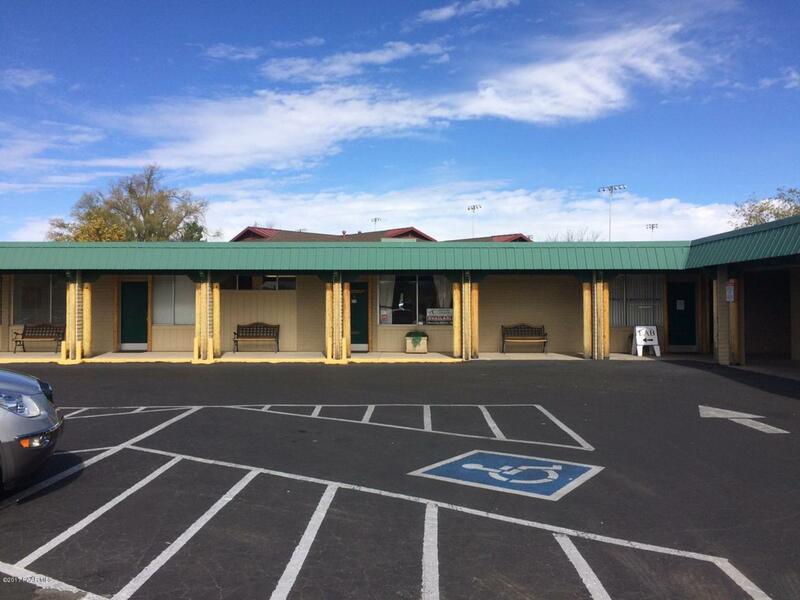 space can be divided into 2 smaller individual suites, approx 435 sf and 650 sf.$11/sf/yr +$4.32 NNN + 2.75% rental tax = $1423/mo Tenant pays gas, electric, phone and internet.